Centre Parcs is not only leisure break resort but it is an ideal venue for event venue for team building, conferences and seminars. Sherwood Forest has a purpose built conference centre and meeting venue caters for up to 600 delegates. The rooms offer comfortable seating and air conditioning within their meeting rooms. Any business will find the peaceful location of Centre Parcs an ideal environment for reflection, to motivate and inspiration. It is an ideal venue for hosting corporate events, such as board meetings, seminars, conferences or team away days. Prom Limo Hire provides an impressive transport service for organisations hosting their business events at Centre Parcs. Many organisations have recognised the benefits of provide colleagues with limousine transport to for team away day. The journey in a limousine to Centre Parcs provides a unique location for team building and introduction activities. Colleagues tend to have experience such a sense of enjoyment that motivation and participation is enhanced. 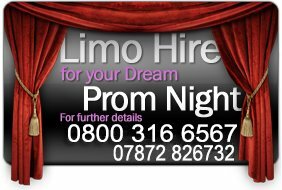 Please view www.promlimohire.co.uk and view the Fleet page to discover what limousines and Hummers are available to hire. Centre Parcs are passionate about providing high quality and a good choice of refreshments. They know quality catering is key component to any corporate event and are committed to providing delegates delicious and tempting options. Light finger buffet are ideal to encourage delegates to Network with each other. Whilst their gourmet gala dinners are satisfy more formal events. Team building exercises will bring out the best in team spirit. There is a wide choice of activity programmes to stimulate delegates into new thinking and bond team members and strengthen working relationships. These range from Walking the Plank and Egg Challenge to Water World Adventure. Activity programmes can last from one hour to a full day depending on what methods your company chooses and its main focus. Their meeting and conference rooms stand are a standalone facility allowing a more formal and flexible space for your event. After any event hosted at Centre Parcs, delegates have the opportunity for some important free time to use other facilities on site. Such as swimming, mountain bikes, Tenpin Bowling or even the luxurious spa. Limo Hire Mansfield specialised is corporate chauffeur driven transport and hosts a variety of vehicles suitable to impress any business clients. So whatever your reason for visiting hosting an event at Centre Parcs makes organise your transport with Limo Hire Mansfield. 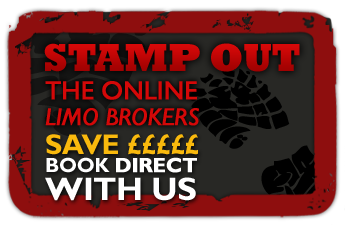 We will collect guest speakers from any train station or airport in one of our prestige vehicles. Please view www.promlimohire.co.uk and view the Fleet page to find out more about our Rolls Royce Phantom or our Baby Bentley Limo.